ABSOLUTELY BEAUTIFUL FULL BRICK SHOWPLACE WITH FINISHED TERRACE LEVEL, LOCATED IN PRESTIGIOUS GATED GOLF COMMUNITY + TOP SCHOOL DISTRICT! Gorgeous former builder&apos;s home, totally custom and upgraded to perfection, surrounded by private backyard, lovely fountain and hot tub! 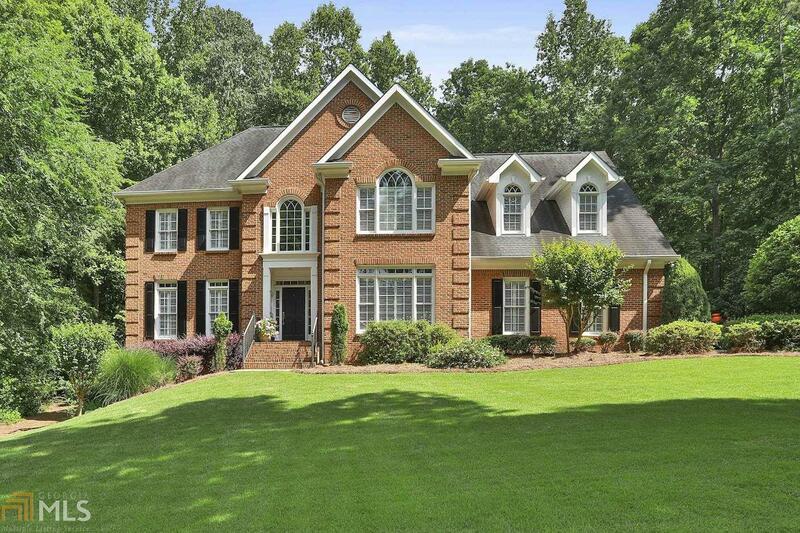 Features include a living/music room/office w/built-in bookcases, banquet dining & gorgeous vaulted great room, guest suite and dual stairs, all on the main level! Chef&apos;s dream kitchen with exotic granite counters + huge center gathering island, Subzero fridge & stainless steel upscale appliances to include double ovens! Luxurious owner&apos;s retreat with granite spa bath + generous bedrooms, all with direct access to a bath! Terrace level with media room, gym/office & 3rd car garage!